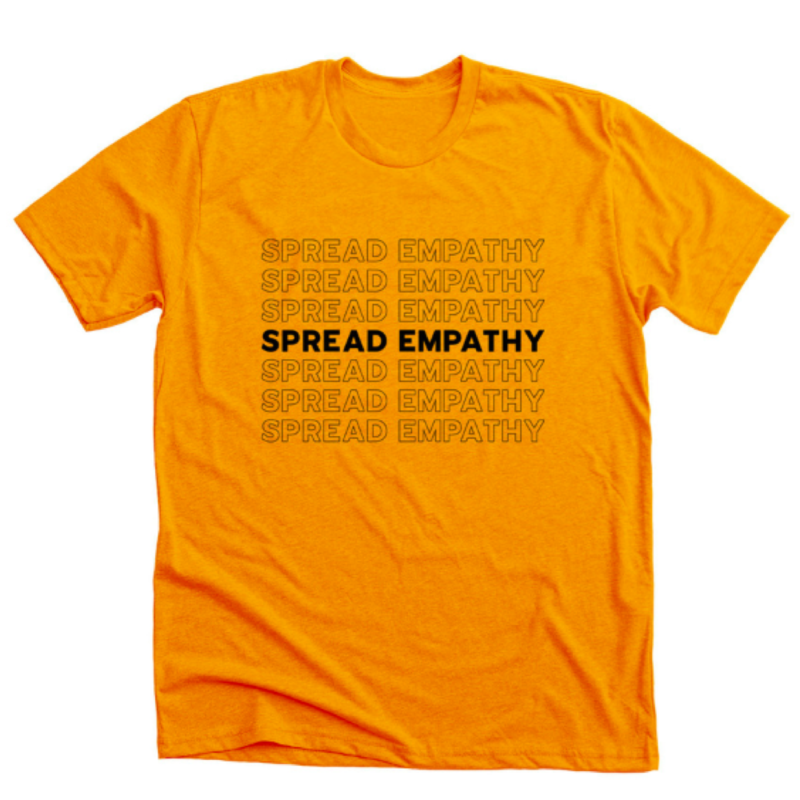 In honor of Mental Health Awareness Month this May, we are launching our "Spread Empathy" campaign. We encourage everyone to spread empathy to others today, tomorrow, and every day. Buddy Project is aiming to raise $10,000 before May ends. Proceeds will benefit mental health and recovery centers throughout the United States. We're hoping to raise this through direct donations and through sales of our "Spread Empathy" shirt campaign. Proceeds will be contributed to mental health facilities throughout the United States. We will be posting people's stories, photography, videography, artwork, poetry, and other artistic works in order to give people a platform to speak up about their experience with mental illness. Whether you're currently experiencing mental illness or are recovered from a mental illness, we encourage you to submit your work. We also want to hear when you spread empathy in your life. Make a post on your social media sharing what you’ve done to be empathetic by using the hashtag #SpreadEmpathy. If you are comfortable sharing your personal experience with mental illness through writing, photography, videography, artwork, poetry, or any other artistic medium, please submit your work to be featured. We will be sharing stories throughout May. Support us by purchasing a "Spread Empathy" shirt! All proceeds earned through sales of the shirts will directly benefit us. We will contribute a portion of the proceeds towards mental health facilities in the United States. Join our fundraising team for our "Spread Empathy" campaign and help us fundraise $5,000 for mental health and recovery centers throughout the United States.